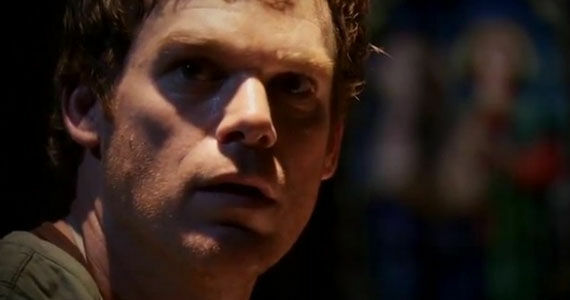 Showtime Wants 'Dexter' Season 9; Producers Don't - Who Is Right? Dexter season 7 may still be may still be two months away from its premiere date, but focus has already shifted to upcoming seasons. In this case, potential upcoming seasons – depending on who you believe. Speaking to the Television Critics Association this week, Showtime president David Nevin (once again) hinted that television’s Dark Passenger could continue into season 9, even though the producers – and now Michael C. Hall – insist that Dexter will end in season 8, no matter what. Plans can always change... Deb has to deal with who her brother really is. Everything changes, so we'll see where that carries us... Every scene is fraught with you wondering, 'What is she going to do? What does he think she's going to do? What does she think he think she's going to do?' They're able to take both Deb and Dexter to unexpected places. While Nevin may be optimistic (or hopeful) about the continuation of their staple series, executive producer Sara Colleton revealed their stance on the future of Dexter just last month. Highlighting the fact that producers originally wanted the series to end in season 7 - only to be convinced by Showtime to push it to season 8 - Colleton explained that, while an eighth season storyline was easily attainable, the upcoming seasonal storylines are now focused on bringing everything together for a planned conclusion next year. Reiterating Colleton’s original plans for the conclusion of the series, Michael C. Hall told the TCA that Dexter season 8 will be its last – at least for him. But plans do change, and a series can continue beyond its intended journey. Of course, for that to happen with Dexter, it appears that Showtime is going to have to do much more than simply talk up the potential of the series continuing – because for all intents and purposes, the conclusion of Dexter is only a season away. When it comes down to it, should a network continue to push for an extension of their most successful series, even if everyone involved has said (and planned) otherwise?